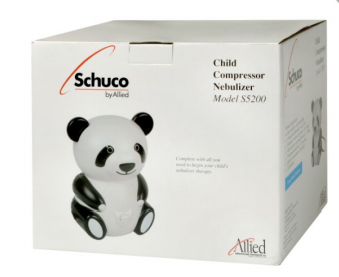 Panda Childrens Nebulizer by Schuco provides worry-free nebulizer therapy in a child friendly design. This cheerful panda makes Nebulizer Treatments comforting and fun for small children. This child nebulizer is lightweight making it easy to set up and use. 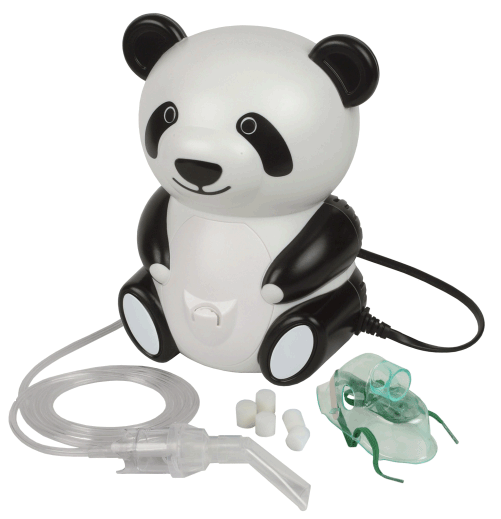 The operation of the Panda Childrens Pediatric Nebulizer is quiet and less intrusive to children. This child's nebulizer is easy to clean. Therapeutic Particle Size: 0.5 µm - 5 µm. Power Requirements: 120V 60 Hz. Schuco S5200 Pediatric Nebulizer Warranty: 5 years limited.